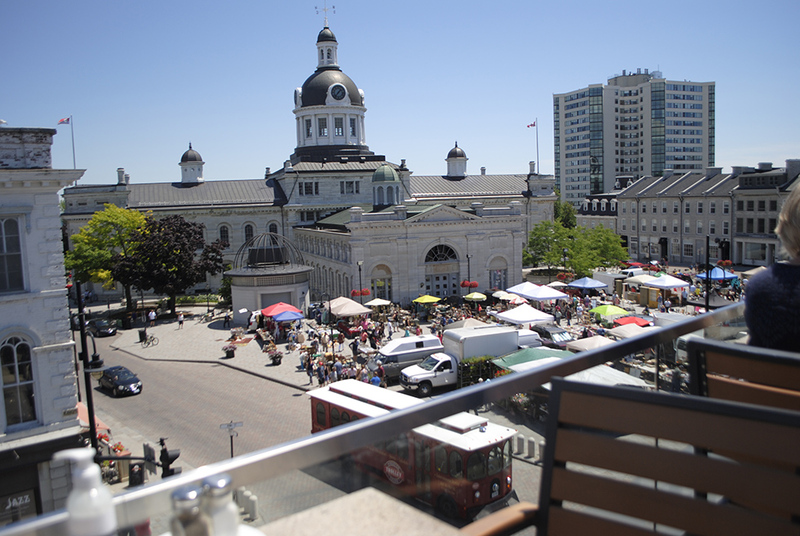 Kingston is known for its many restaurants – and in the summer just about every downtown dining spot moves out onto the streets and back courtyards. 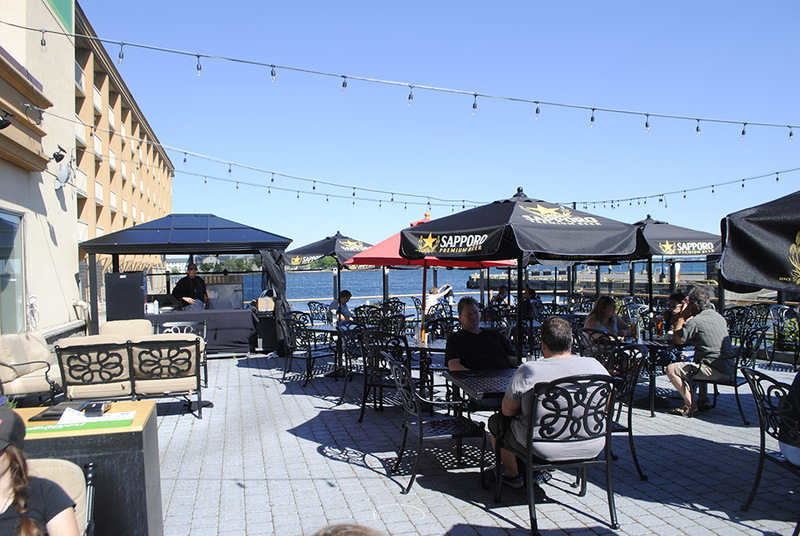 After my first piece covering Kingston’s hidden patios, I gathered up another group of willing friends and family, and went on another patio tour – and I strongly encourage you to do the same! 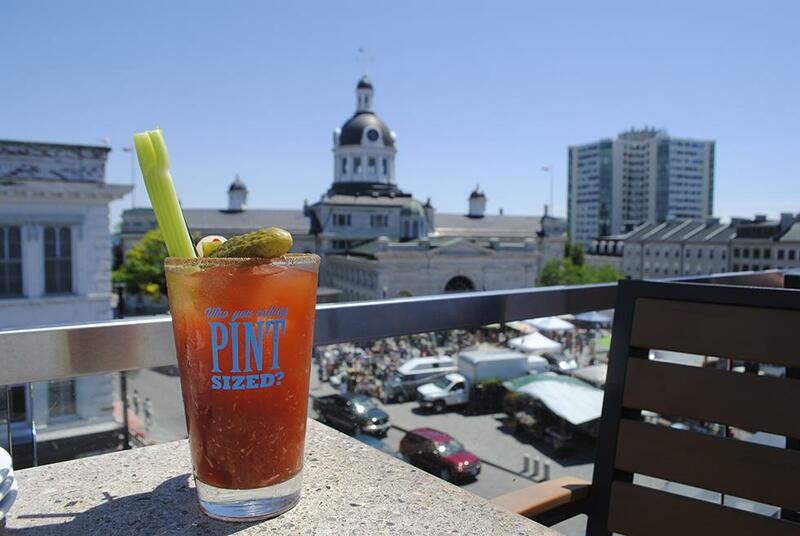 You can’t go patio hopping without making sure you make a stop at Kingston’s roof-top patio, overlooking Market Square. 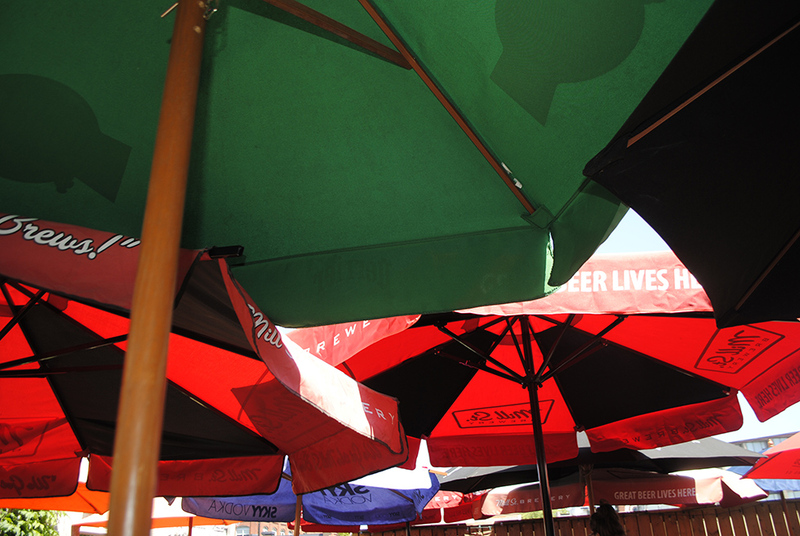 Beat the heat under the shady umbrellas and the super-convenient misters. Apply some sunscreen (note: it is NOT mayo) waiting for you on every table and take in the sights. With many brews on tap, including local MacKinnon Brothers served up in glasses with clever sayings – Jack Astors also features one of the meanest Ceaser’s I have ever tasted – plus and some delicious looking sandwiches and burgers. For a waterfront town, one would think that there would be more patio real estate on the shores of Lake Ontario. Many come close, even within view of the lake, but The Dox is only one of two (Juniper Cafe is the other) that are actually lakeside. Strangely, the patio isn’t very busy, staff tell us that perhaps people don’t think to go here, as it is the hotel restaurant. Fine by us! We quickly secure a cozy nook of couches and order some drinks and a few baskets of delicious house-made kettle chips. The breeze off the lake cools us down as we watch the Island Belle dock and unload her passengers. We also learn that on Friday night, they feature live music, and get this: locals get a discount on summer lunch and dinner features! We are talking about the patio of The Lonestar, not the Jimmy Buffet song! Stellar fajitas (great for sharing), free chips and fresh salsa (treat yourself to the queso), country music and wait staff with monikers like Stallion, Cactus & Dallas round out The Lonestar experience. Gather up a bunch of your besties (or the family) for a meal that you can be a little loud over. You won’t find a wide selection of beer on tap, “But there’s booze in the blender/And soon it will render/That frozen concoction that helps me hang on. Seriously, try their margarita. 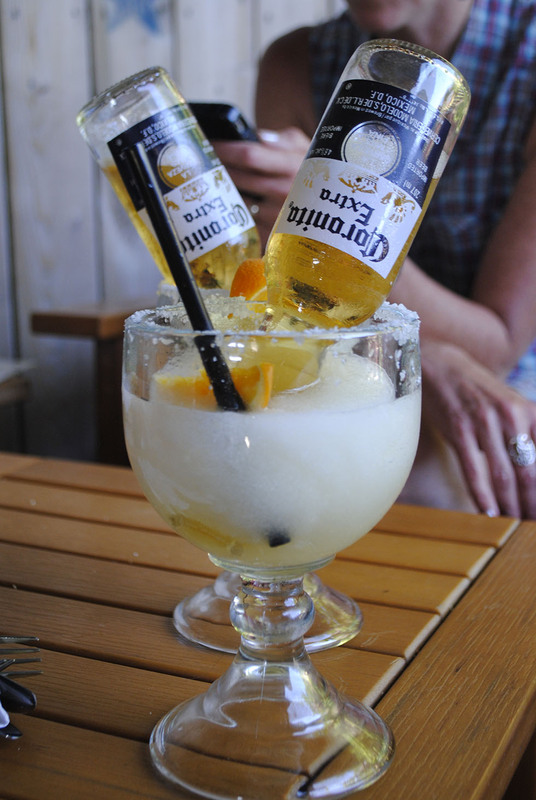 Better yet, the Rita Coronita. Afterwards, exit by the back and take a stroll along the waterfront. Pan Chancho features a lovely little back patio, completely fenced in from the bustle of downtown, and covered in umbrellas to protect you from the sun – where you can treat yourself to breakfast, lunch or weekend brunch. 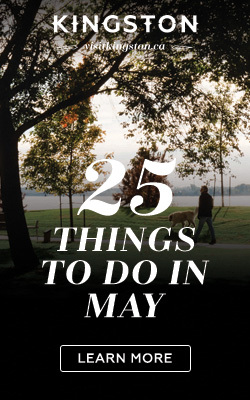 In the summer, they also host a Backyard BBQ & Band on Thursday evenings. 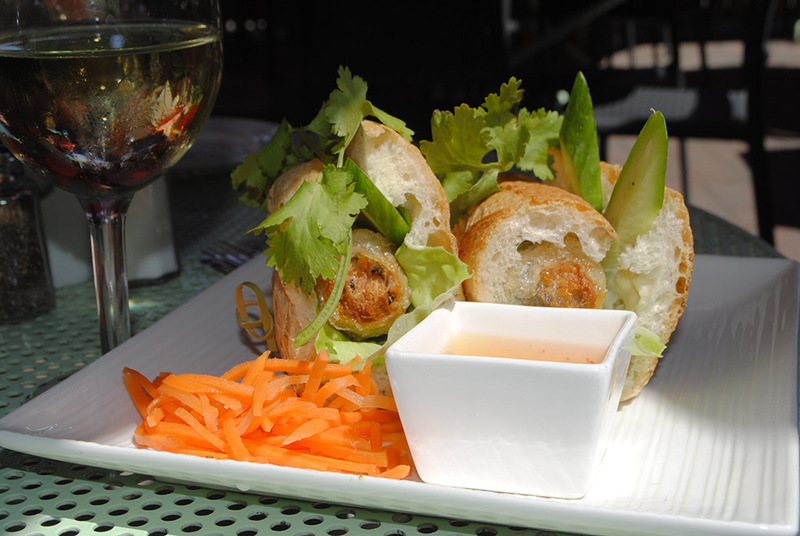 My boys enjoyed a selection from the kids menu, while I had the Bahn Mi (which was a no-brainer, as I LOVE both spring rolls and Pan Chancho bread; this combination seemed like an obvious choice). After we ate, we went shopping in the bakery and took home a selection of cheese and bread and of course – giant cookies for the boys! Since the almost completion of the Big Dig Three, a few new patios have popped up: The Copper Penny, Megalos, the new Crave Coffee House & Bakery and Stone City Ales have all moved their offerings street side. We have all recovered from our second round of patio tours, and we are by no means done! I would love to hear about your favourites – maybe we’ll meet under the sun! Sometimes great restaurants in the city get overlooked – like King Street Sizzle, located downtown at 285 King Street (inside the Four Points by Sheraton Hotel), just steps away from the waterfront. 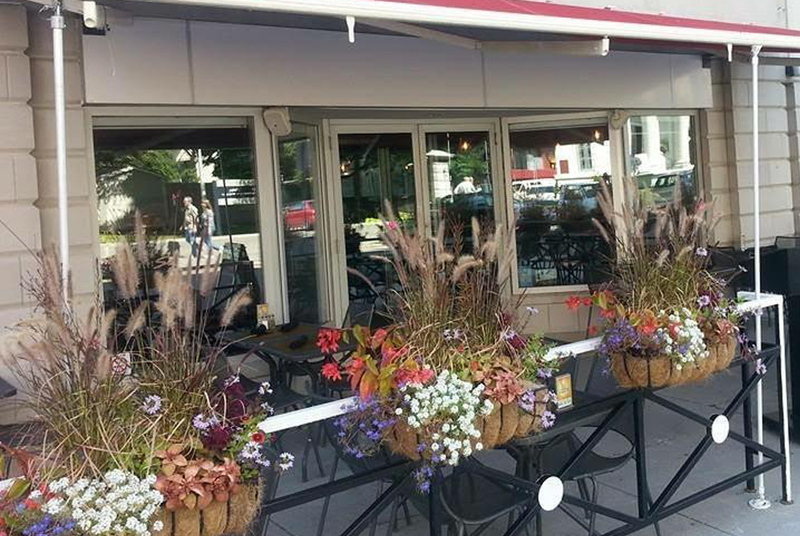 Elegant yet unassuming, it’s the perfect spot for al fresco dining and enjoying Sizzle’s outstanding Mediterranean-inspired menu consisting of fresh-made selections using the finest organic ingredients Kingston has to offer. Great service and atmosphere are hallmarks here, as is value – you definitely get a lot of bang for your buck here.